Wigram Lane), on which he built two residences fronting Hereford Street: ‘Orchard Lodge’ and ‘Orchard Cottage’. John Korff died at Glebe on 14 December 1870, aged 71 years. His wife Mary died 2 January 1868, aged 67 years. Apprenticed at the Royal Naval Dockyard in Deptford, Kent, Korff qualified as a shipbuilder. He arrived in Sydney in 1835, having qualified in shipbuilding and naval architecture in England. Joined by his wife, Mary and their children in 1840, Korff settled first in the Hunter region, where he built a number of vessels with his three sons, and later became a marine surveyor. Korff is perhaps best known as the founder of Coff’s Harbour, which he named ‘Korff’s Harbour’ in 1847 after taking refuge in the port during a gale. It was renamed Coff’s Harbour in 1861. He later became a marine surveyor to underwriters of Lloyds insurance group. He established a ferry service to Balmain in 1864 and another to Manly. He left an estate of 300 pounds sworn for probate purposes. Korff and his sons built the 45 ton schooner Sisters in 1842 and the 27 ton ketch Brothers in 1845 and both these ships traded between Sydney and Newcastle carrying coal and general cargoes. 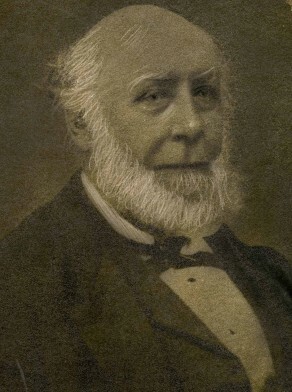 John Korff was an alderman on Glebe Council from 1859 to 1865. Straying animals was an early issue for Glebe Council, and John Korff, a member of its finance committee, participated in Council’s decision in 1860 to rent a piece of land on the corner of Mitchell and Broughton streets from the trustees of St Phillips Glebe for a pound for cattle, goats and pigs. George E. England, ‘Korff, John (1799–1870)’, Australian Dictionary of Biography, National Centre of Biography, Australian National University, http://adb.anu.edu.au/biography/korff-john-3968/text6263, accessed 22 October 2013.